Although there is only pretty much a month left of Summer, there is still time to head on over to Festivals whether they're the larger festivals or even the smaller ones. One of the largest festivals which is happening very soon here in Essex is the V Festival which I'm sure some of you will be going too; I know I'd love to if I had the chance. Maybe one day. 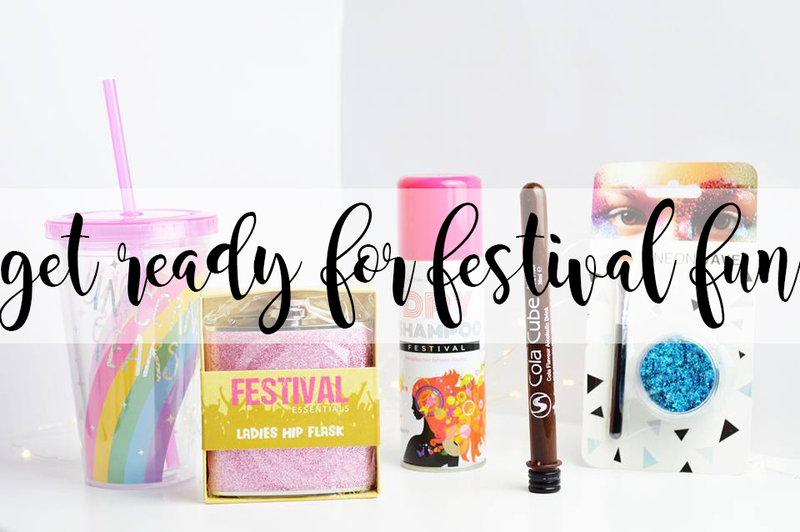 So if you're preparing to go to a festival in August, here are some great products which you may want to take with you to ensure you're ready and prepared to have fun! All of the below products you can find in Home Bargains! 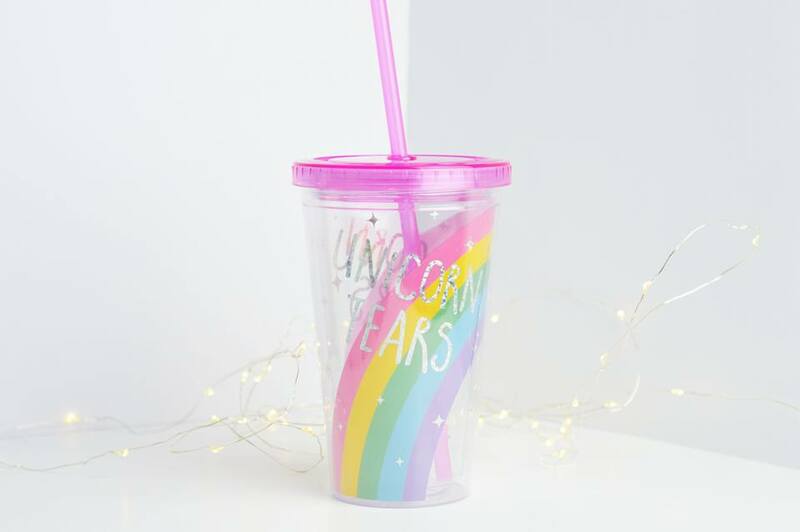 Firstly we have the cinema flask from the believe range which has the most prettiest rainbow on with "Unicorn Tears". I absolutely love cinema flasks and I've always seen them and wanted one and I couldn't have got a better one than this; it's so cute! You can pick this flask up for £1.49. Metallic Body Tattoos are a current must have this summer; I have lost count how many people I have seen wearing these on a daily basis or at a festival and I completely understand why; they are beautiful! 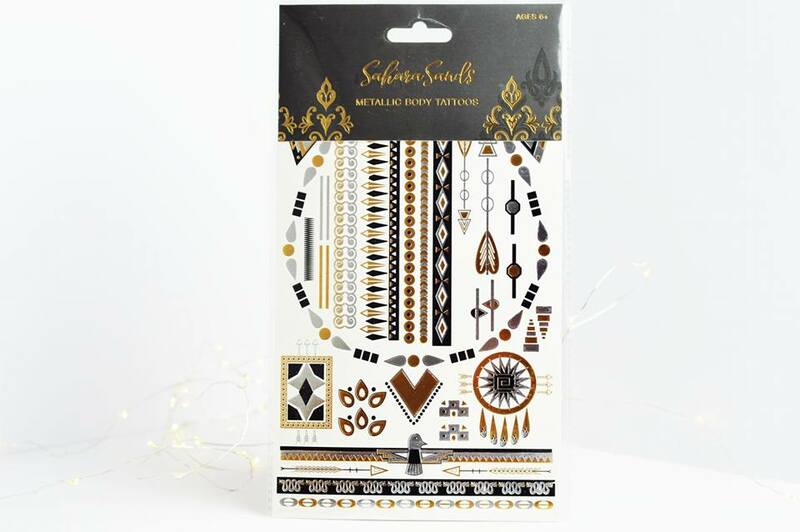 These Sarah body tattoos are £3.16 and there are so many; you probably won't use all of them! 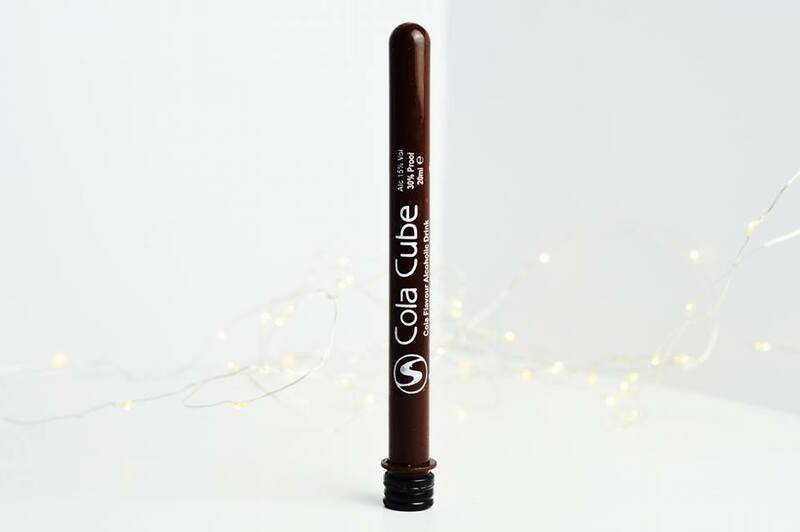 I was so shocked when I saw these shot tubes existed; who knew you could have the tiniest tube hidden away in your bag ready to have the best tasting shot going! Of course, it's cola flavour; what more could you want. Who hides alcohol in bottles which say "Water"; I'm sure someone does! This shot tube is only 39p! 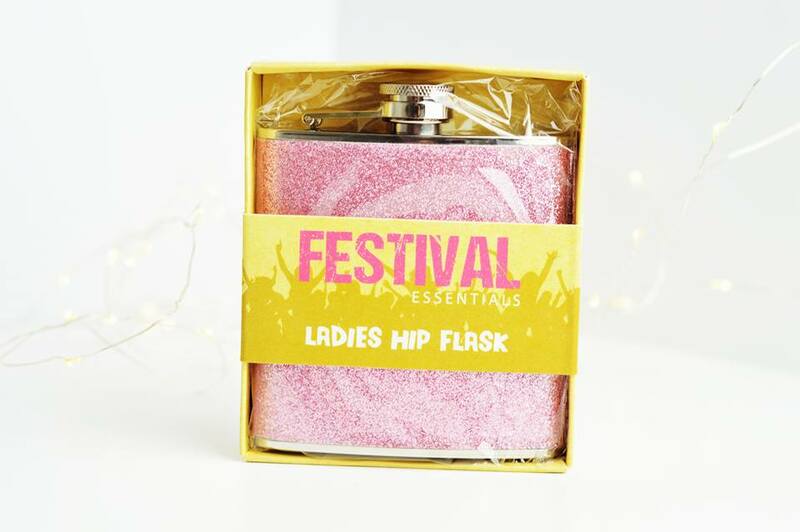 I had no idea hip flasks were still a thing until I received this one but look how cute it is, perfect for anyone who loves pink! I also couldn't believe how cheap this hip flash was, only £2.99 and it's a good quality material too. It's definitely worth getting your hands on, even if you'll use it on a general basis. 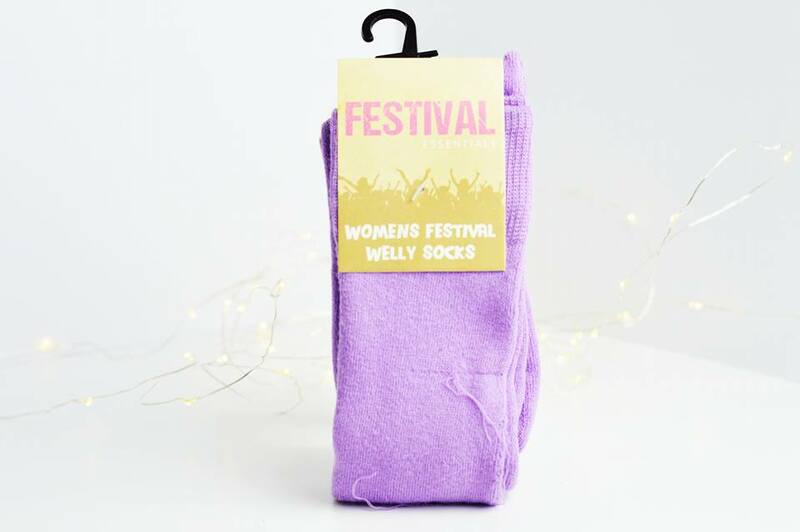 Welly socks are a must have for festivals, especially if you know it's going to be raining and you'll end up wearing your wellies. I personally do not usually wear welly socks and I'll go for the standard trainer socks which fall down every five seconds, but with these you'll never have to worry about falling down socks again, or the blisters from your boots rubbing on the back of your feet; only £1.99! I thought this was a necklace until I actually read what it was; look how beautiful it is! 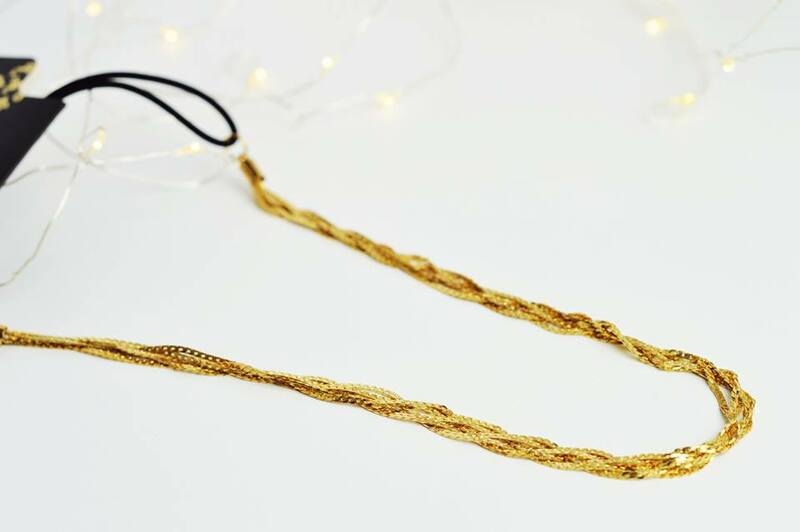 This is the most prettiest head band I have ever seen (apart from flower headbands of course), it looks so elegant and pretty; very stylish if you want to look great for your next festival! This is only £1.29! You'd expect it to be so much more. 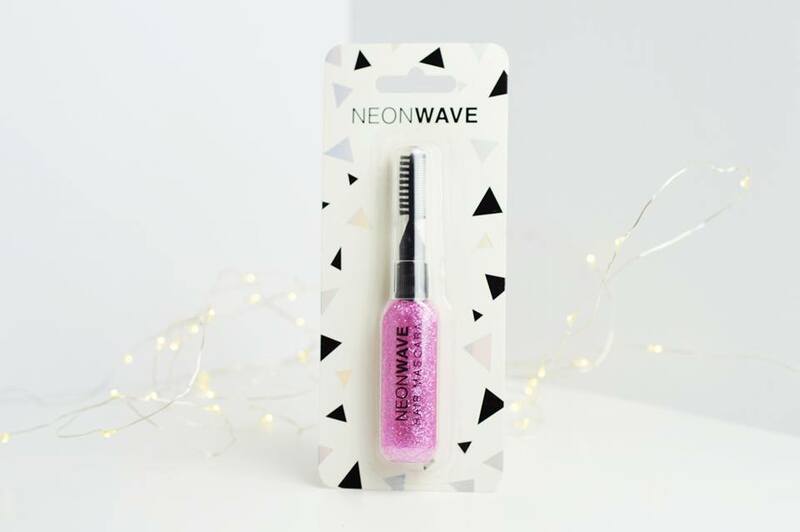 I have also noticed hair mascara is a new thing for this year and I am loving how people's hair looks when it is full of glitter! Last week one of my colleagues came into work with a scalp full of gold glitter; for work it looked weird, but god I bet she looked amazing at her festival! This is only 89p! Probably the cheapest you'll find it. 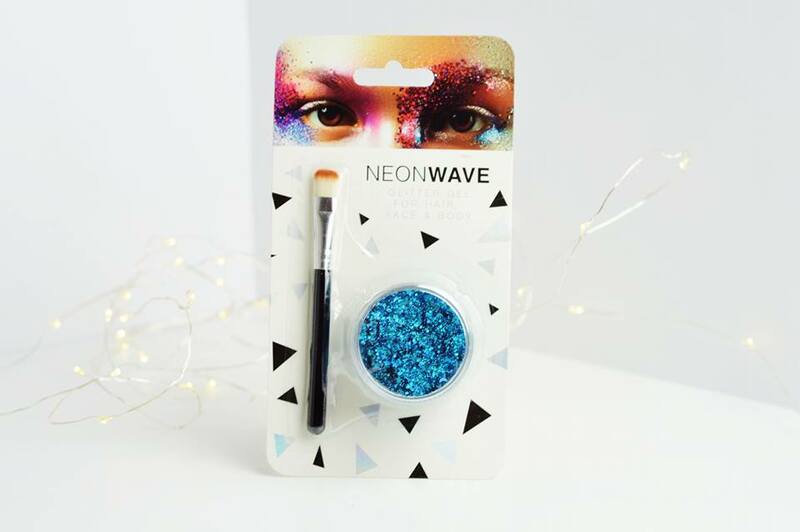 Glitter Gel is another must have for this Summer and Home Bargains is selling their glitter gels for only 99p, with lots of colours to choose from. I am LOVING this gorgeous teal blue; it's super pretty, thick and stays in for literally forever. 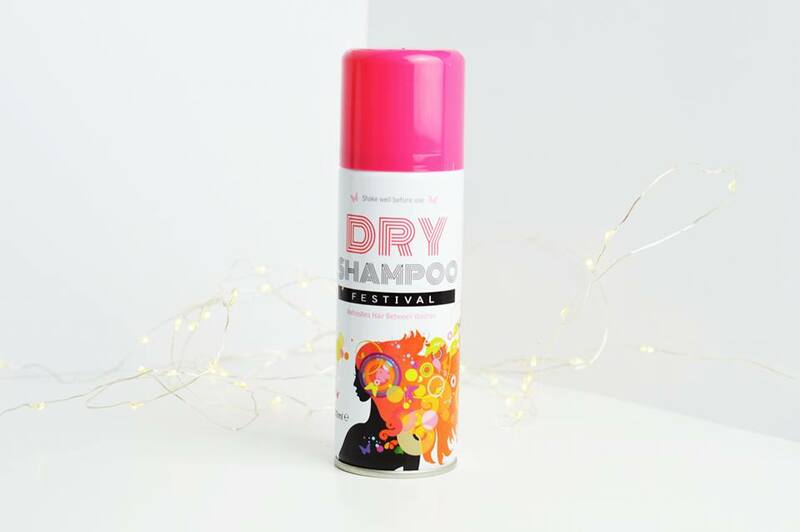 Dry Shampoo is a huge must even on a daily basis when you really cannot be bothered to wash your hair. So when you cannot wash your hair at all, then you need to make sure you carry this stuff with you! Also, look how artsy this one looks compared to a standard Dry Shampoo from Superdrug. This is only 79p! I think this is probably the most weirdest essential for festivals but it wouldn't surprise me if people actually use these. A towel size wet wipe?! If you can't shower, instead of using a billion baby wipes, just use a huge one instead; insane! 79p for pretty much a shower which isn't a shower? If you're filthy, I guess you have no choice. I am completely obsessed with this bag and I'm sure so many of you are going to love this bag just as much as I do. If you're like me and tend to carry everything in your hand such as your phone, camera, sunglasses and what not; you need this bag. 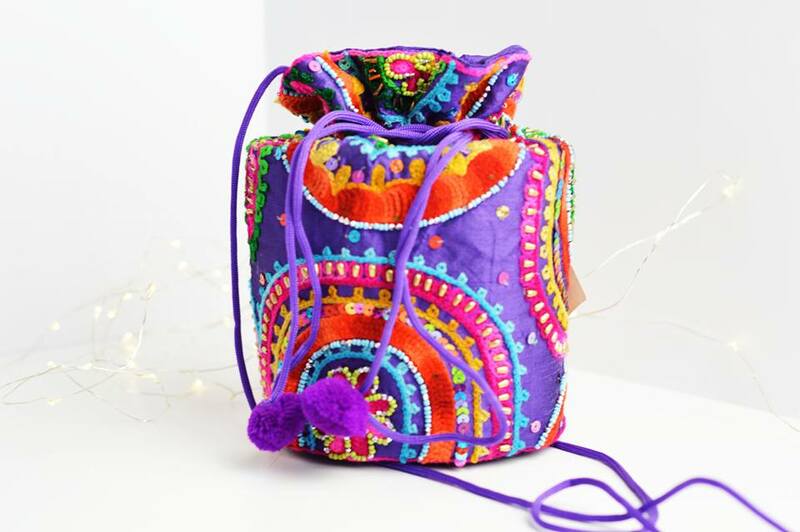 It's beautiful, it's trendy and you couldn't get more "festival" than this for only £4.99! 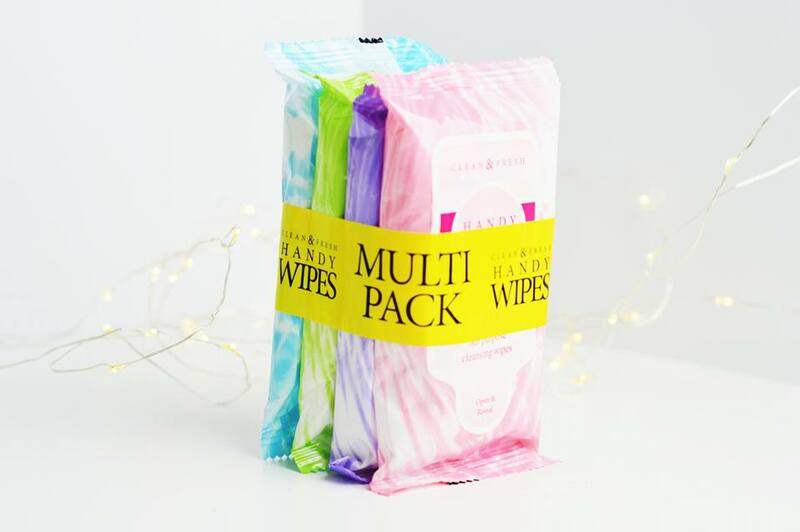 Having a boyfriend who cannot stand germs, I have learnt to love antibacterial wipes and what more do you want than the most cutest, colourful wipes to go with your rainbow bag! For only 69p, you're provided with four packs of antibacterial wipes which should last you for more than a whole weekend. 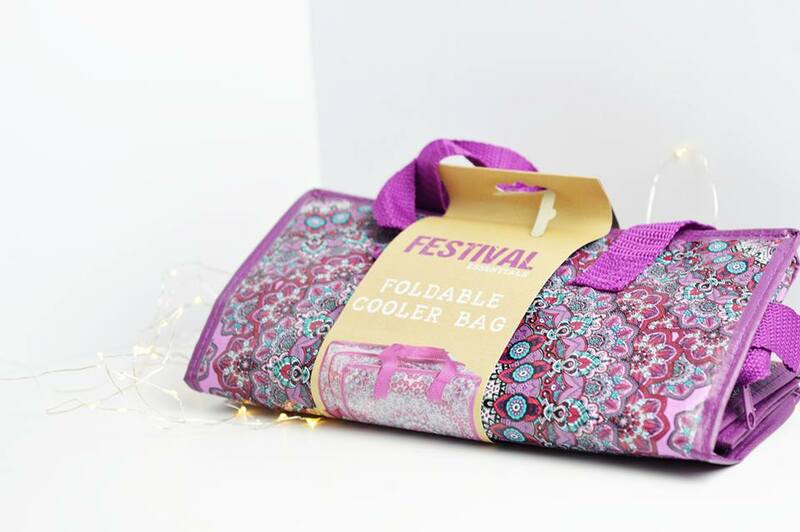 Last but not least, if you're fed up with the ridiculous prices of food and water at festivals, then make sure to get your hands on this beautiful cooler bag for only £1.79; big enough to fit all of your water, alcohol and food in for a whole weekend; you won't ever go to a festival again without this! 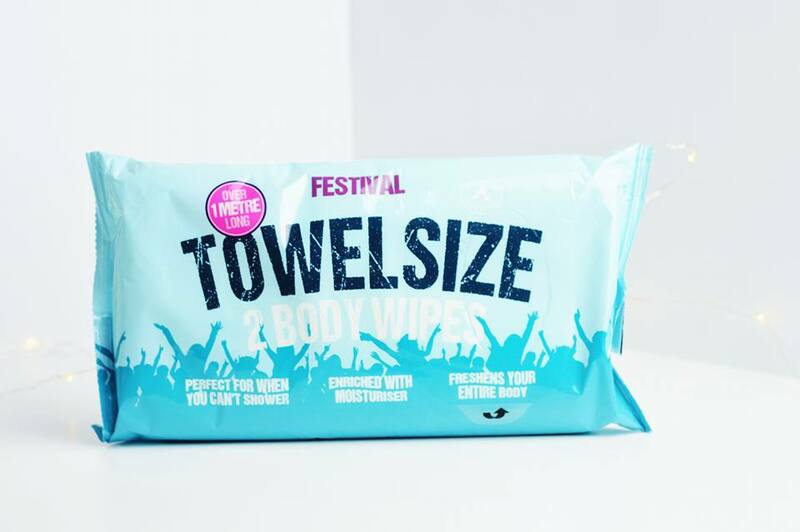 What's your must have product for festivals? I'm craving South African summers like you cannot believe, because that's when our festival season starts! This post just amplified the craving. Your pictures are gorgeous, wow!